Jill Metcalf lives near Toronto, Canada, 20 miles from the village in which she was raised. She is the award winning author of five novels and one novella, all published in the 1990's. Now retired, Jill's favorite vacation destinations were throughout the United States, researching locations for her stories. Jill has recently entered the digital world and her first out-of-print book, Spring Blossom, is available at Amazon Kindle. 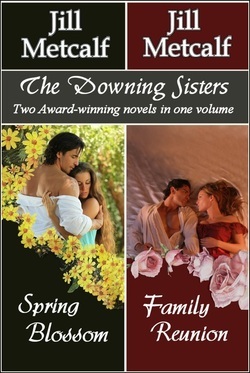 Spring Blossom was one of the two launch books for Berkley's highly acclaimed Homespun Series of books, noted for "Romance From The Heart Of America". 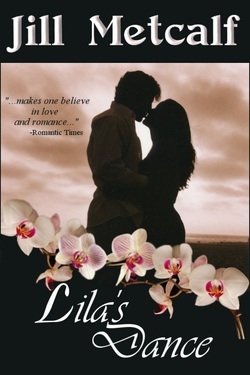 Jill now has four ebooks and one bundled set available in all digital formats. Maggie... As a spirited girl of fifteen, she fell head over heels in love with a handsome stranger...a love she was too young to understand. Hunter... Part Indian, and all gentleman, he was touched by young Maggie's charms and secretly vowed to ask for her hand when she was of marrying age. He did return to her years later - only to find the shattering truth that had scarred her heart... For Maggie had turned her back on love and not even the caring embrace of her sisters and father could ease the dark secret that tarnished her spirit. Until Hunter's gentle touch turned the future into a promise of love fulfilled, turned her sorrow into the sunshine warmth of home and hearth...and a love that would flourish with the passing of the seasons. The darling of her family, the spirited beauty raced horses, wore breeches and liked a challenge. A brilliant young lawyer, he returned to his hometown, his life shattered after a tragic accident. They were childhood friends, growing up amidst the wild beauty of Virginia. Now, embittered by his injuries, Chad sheltered his heart from the past. Until a ray of sunshine named Jennifer Downing came into his life one more. With her mix of tenderness and tenacity, she gave him hope for the future. But it was Jennifer who surprised herself by falling in love. Lila...She raised her younger siblings with a practical hand, and had no time for frivolous dreams of love. Daniel...The young doctor left behind a life and a love affair in Boston - and saw in Lila's eyes the chance to start again. Together they shared love's bittersweet gifts, from the trials of family life to the joy of waltzing in the summer moonlight. But small-town talk can turn the simplicity of new love to the sharp sting of scandal. Now Lila and Daniel must hide their feelings and be what others expect - or follow the song of love that carried their hearts away. She struggled to care for her younger sister - and turned to an alluring stranger out of desperation. A handsome and wealthy widower, his heart went out to the charming waif he found on his doorstep on evening. And he asked her to stay. Corie sent the child to Sean Garrick's house, hoping against hope that he was kind enough to take Kenny in, to give her a home. She had not other choice, but her heart ached at this broken family bond. Posing as a governess, she worked her way into Sean's employ - and his heart. Would he be man enough to love this daring woman - and keep this newfound family as his own? 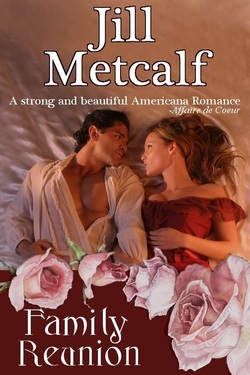 Two award winning Historical Romance novels in one volume. Spring Blossom; Maggie is the eldest of four sisters and was determined to never leave her Viriginia home. But then, after years of not seeing him, Hunter Maguire returned and everything changed. Family Reunion: Jennifer is Maggie's youngest sister. Carefree and a bit on the wild-side, Jennifer is surprised to learn that an old childhood friend has returned to his home, apparently to remain there. She quickly learns that Chad has no intention of reuniting with old friends.